I have been following the integration of Android and ChromeOS since it was merely a rumor (check out these posts). 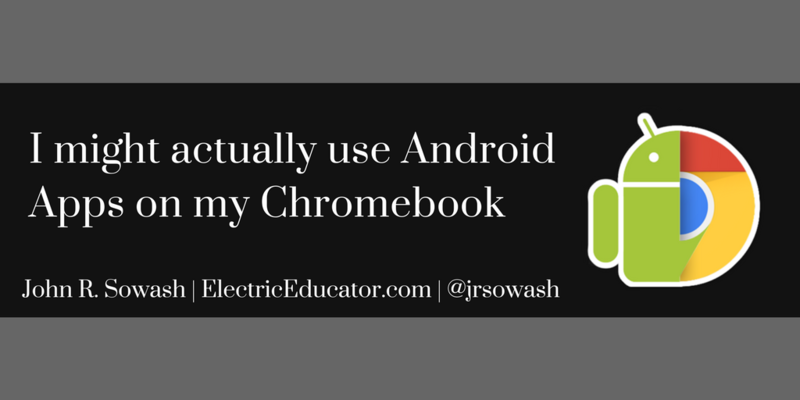 Overall, I have been underwhelmed by the addition of Android apps on my Chromebook. Access to Android on my Chromebook has had no impact on my daily routines... until recently. On a whim, I installed the Google Classroom Android App. I rarely use it. But then I noticed that I was getting very detailed notifications from the courses I am facilitating, which was quite helpful. 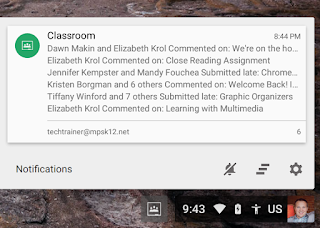 I get notifications of comments, late assignments, and new posts in the notification window of my Chromebook. 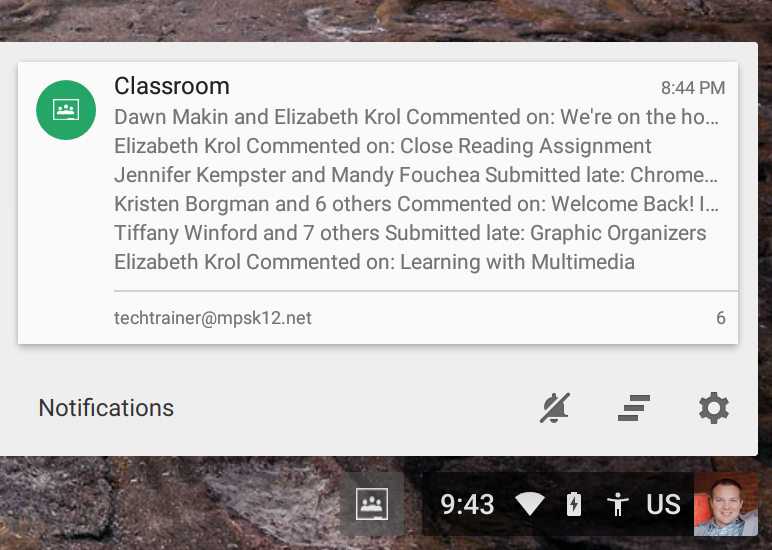 The web-based version of Classroom does not offer these detailed notifications. Next, I installed the Android versions of Basecamp and Slack, both offer superior notifications compared with their web-based versions. Mobile devices have much better notification settings and capabilities than computers. Adding the Android app for tools that I use give me more control over when and how I am notified. This is the first time I have actually benefited from running Android apps on my Chromebook. Perhaps there is some benefits to the merging of Android and ChromeOS. What do you think? 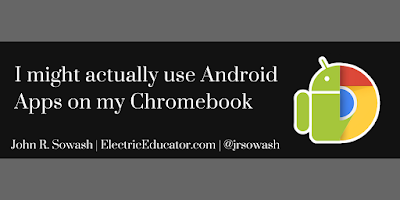 Personally, neither have I really found a must have Android App for Chromebooks either [yet]. Thank you for this insight.